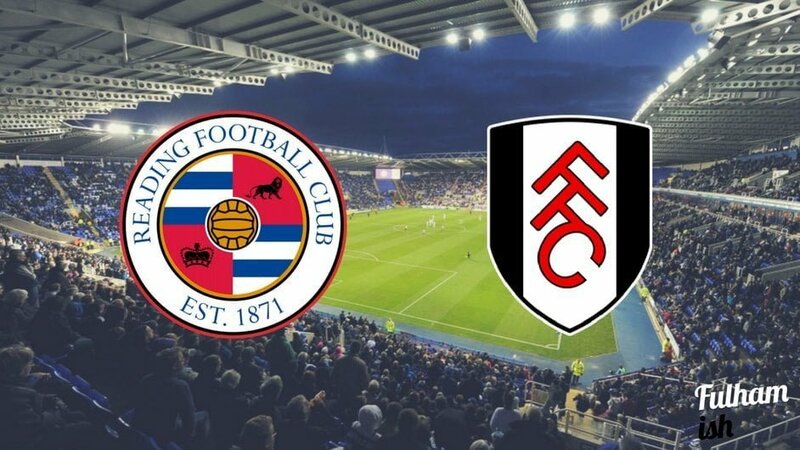 It’s take two for Reading vs Fulham as the Whites look to gain ground on the play-off pack in their re-arranged game at the Madjeski Stadium. The first attempt at this match lasted a fog-filled 45 minutes before referee James Linington abandoned the game with the score still at 0-0. Fans from both sides were left dismayed at the decision as much of the fog cleared during the interval. Not much has changed for the two sides since the meeting in late-December, apart from the point gap being narrowed by one. The Royals come into the game having lost consecutive league games against QPR and Derby. With the latter and also ourselves on the march, Jaap Stam will be concerned that a few more bad results could see his team drop out of the play-offs. Left-back Jordan Obita is suspended for the home side after picking up two yellows at Pride Park on Saturday. Jordan will probably breath a sigh at relief at this after being torn apart by Ryan Fredericks in the past 1.5 games. Portuguese signing Tiago Ilori made his debut in the defeat against Derby in the centre of a back three alongside Paul McShane and Liam Moore. Jordan Obita sent off for a 2nd yellow and is out of Tuesday's game. Clearly couldn't bear the thought of facing Fredericks for a 3rd time. As we’ve mentioned many times on the podcast, Fulham really need to start picking up three points far more consistently if they are to seriously challenge for the top 6. Fulham are now on double figures for draws, and this is clearly the difference between ourselves and the top sides. Slaviša Jokanovic is in a much stronger position for Tuesday’s game then he was back in December, with both Martin and Kalas back playing once again. A win tomorrow would leave Fulham just two points off the play-offs, leaving the Whites in a perfect position to launch a very serious top 6 push with lots of winnable games on the horizon in the next few weeks. Despite a largely sluggish performance against QPR on Saturday we don’t imagine Slaviša will change anything for the Reading game. Apart from Floyd Ayité, who could be on his way back from AFCON as soon as Tuesday, this is undoubtedly his preferred line-up. The former Chelsea man has staked his claim for the role in the heart of the Reading midfield and much of their play goes through the talented youngster. Johansen has become perhaps the most important cog in Fulham’s midfield and it was telling that when he was shut off in the derby on Saturday, Fulham lost much of their dynamism. If Johansen can return to form at the Madjeski, it will drag Fulham back towards their best, but to do so, he’ll need to get the better of the Royals’ No8. This is an important game that neither team can afford to lose, which could result in a cagey start to the game. Reading will give Fulham much more time and space then they were afforded on Saturday against QPR, which should be to our benefit. With Martin and Kalas back in the side, and a 5-0 win still in recent memory, we see no reason why Fulham can’t go and claim a precious win. We think 2-1 to the Whites.